The first cruise ship of the season will arrive in Nanaimo on Friday June 5 at 7:00 am and after spending the day will depart at 5:00 pm. 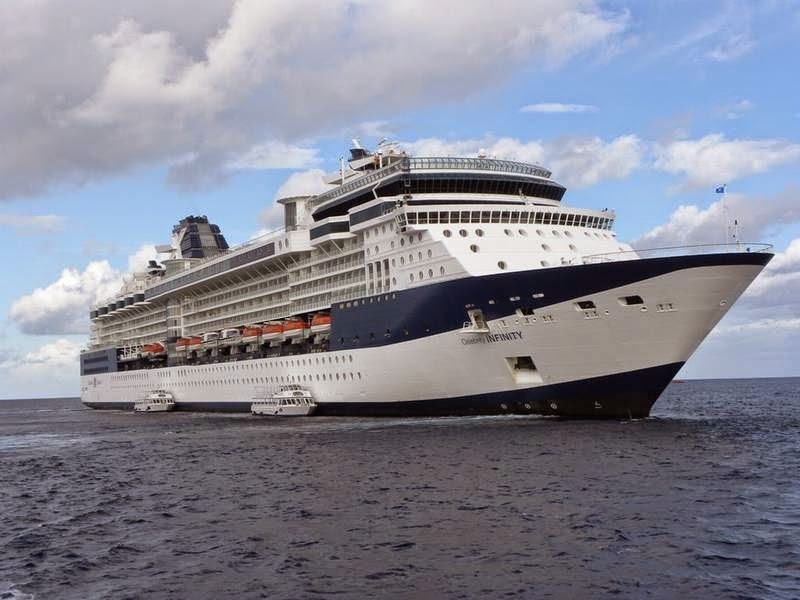 The ship has a crew of 840 and can carry 2170 passengers, accommodation is on 11 decks with 195 inside cabins and 780 outside cabins. She was built in 2001 and is registered in Malta, 965 feet in length, 105 feet beam with an average speed of 24 knots. The Trellis Restaurant can seat 1170 and the Ocean View Cafe has a room capacity of 754. Tourism Nanaimo has a special welcoming planned for our visitors as part ot Tourism Week which runs from May 31 - June 6. Their street team will be handing our loca #ExploreNanaimo Passport of Specials and while quantities last will be giving out samples of Nanaimo Bar goodies such as the Bernard Callebaut and Tea Desire and spin the Wave Radio prize wheel for some amazing local prizes. The Harbour Air mascot will be on hand for photo ops, the life-size postcard will be set up for pictures with the cruise ship in the backdrop and they have a few other surprises as well.